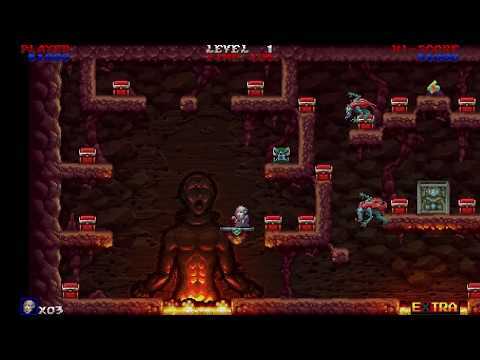 Eternum Ex is a 16-bit Pixel Art game which references are 80s’ action platforms like Ghosts' n Goblins, Baluba-louk no Denetsu or Bomb Jack. Sir Arthur has gotten old... too old. He has lost everything he had and loved, and with nothing more to lose he leaves for Samarnath, an evil subterranean kingdom in search of treasures, adventures and the most important: five magical orbs that together provide: the Eternal youth. Eternum Ex was released on PC and Switch 178d ago in the US and the UK. Notify me when Eternum Ex is available.